Family Chiropractic Clinic - Chiropractors who care about your family! At Back to Basics Chiropractic we pride ourselves on being a family chiropractic clinic catering for all ages, from newborns to great grandparents. As a family chiropractic centre our focus is on customising treatment to cater for the specific needs of all stages of development and maturation. Family chiropractic care includes infants for a number of reasons. Even in the most gentle of births there is the possibility for injury to occur, as there is approximately 15 kilograms of pressure being placed on the baby’s neck during a normal labour. It is important for newborns to be checked and cared for by your chiropractor to ensure that your child’s musculoskeletal and nervous systems are functioning well. Through this rapid stage of development the spinal curves and postures begin to take shape. Developing movement patters and transitioning to weight bearing is very important at this stage. At Back to Basics Chiropractic we can help to assess your toddlers’ development and provide great strategies for ensuring that the correct postures and movement pattern development occurs. Kids will be kids, which can often lead to falls and tumbles and resultant musculoskeletal strain. Even “growing pains” are often simple treatable hip or pelvic problems that can result in muscular aches and pains. School bags are cause for great concern. Managing the size and weight of the bag is vital for ensuring your child’s spine is correctly aligned and not over worked. During the teenage years there is rapid growth. As teenagers finish growing and begin turning into adults the bone structure is maturing and the growth plates are closing. It is important that the body is in its optimal functioning at this stage to prevent any long term problems. The Chiropractors at Back to Basics Chiropractic can help to assess and address issues relating to growth and maturation. Many aspects of an adult’s life place high demands on our spines. Whether it is work ergonomics with long hours at a computer, lifting a baby in and out of the car seat, every day strains can accumulate into a larger problem down that track. Back to Basics Chiropractic can help you with ergonomics in your workplace to ensure your body can withstand the postural stresses and strains involved in a working week. Those with outdoor active jobs have to maintain strength in their spine and muscular system and adopt safe working practices that Back to Basics Chiropractic can help to provide. As you head into retirement life gives you a lot more time to go out and do the things you love. Continuing regular chiropractic care during your adult years and into retirement can maintain your function, movement and quality of life. Arthritis is a condition most people think of when they think of aging. Degeneration occurs in many people but this process can be managed by keeping your spine and body functioning properly. If this condition does occur it is important to maintain chiropractic care to help increase and maintain the movement in your body. 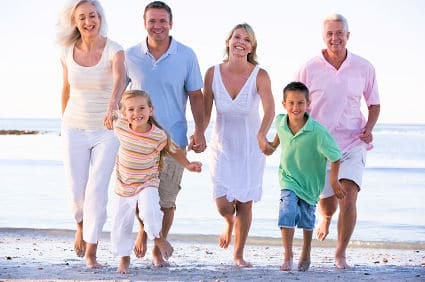 As we place such a large importance on family chiropractic care we offer a free initial consultation* for a patient’s immediate family members. Wellness and health should be a family endeavour so why not support your family and bring them in for a free initial consultation* in doing so you receive a $10 discount on a 1 hour remedial massage to treat yourself with. *Free initial consult excludes treatment. Treatment can be included at a standard consultation rate.